When people share your life, it’s up to you exactly how much of it they share. Many couples, for example, have taboo areas they don’t talk about such as religion or extended family. Some parents won’t talk about politics in front of their children because they don’t want to indoctrinate them. At the same time, some aspects of life can’t be taboo. As you may know, if you are a vegan it can be hard to live with someone who is a meat-eater. You can’t force them to change their ways, but it would be nice if they would embrace your way of life. A lot of things would be “nice,” of course. But to look at the above examples of things that may or may not be taboo, it’s in how you approach it. Say you wanted your fiance(e) to embrace your family. Would you bring them around to visit when you knew there had been a huge argument the same day? No, because it would be awkward. And off-putting. The same applies if you would like someone important to you to try a vegan life. You don’t lay down the law and say “No more of the things you like anymore, here’s a tofu biryani!”. What you can do is show them how living a vegan life can be more pleasant than they imagined. Because you’ve been eating a vegan diet for some time – maybe your whole life – you’ve found the joys of fine vegan dining. For your loved one, it may seem less than appealing. The way veganism is often portrayed in popular culture doesn’t help. 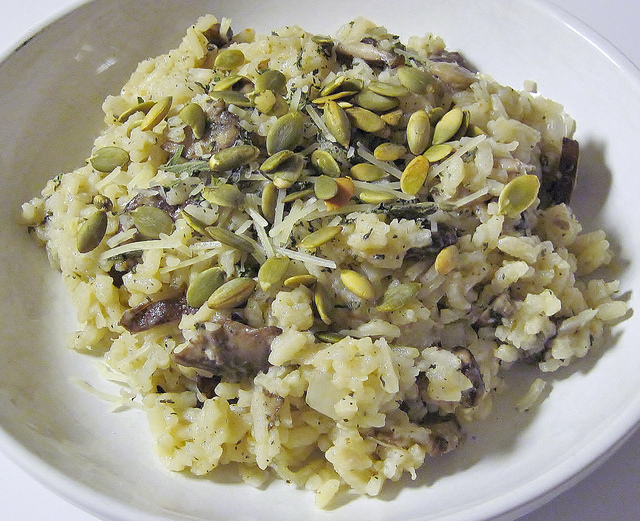 If someone raised on steak and chicken looks into a future of mushroom risotto, they aren’t likely to be keen. So get into the kitchen and change their perception. Rattle those pots and pans. Get your Blender Friend and any other appliances to work. Cook up the most flavourful meal you can, and serve it to them. You can be upfront about it, and say “This is what you can eat, if you become a vegan,” or leave them to work it out for themselves. The great philosopher Lao Tzu said, “The journey of a thousand miles begins with a single step.” This may be how you need to approach things with a close friend or loved one. Anyone who looks at changing something so fundamental, so suddenly, can get spooked. But persuading them to eat what you eat once a week, or every other day, can show them it’s not a hardship. It’s not like vegans don’t have treats, after all! We all have free will, and you can’t force someone to adopt a vegan diet any more than you can force them to only speak Italian for the rest of their life. And insisting that they change their ways only makes you seem more militant. That can make the change less appealing, and you into a fundamentalist. What you can do is show them how it can be a more pleasant way to live, the health benefits, and how happy it makes you. After that, whatever happens, happens.